Over the past decade, Fort Bonifacio which straddles the boundary between the cities of Makati and Taguig has been transformed from a military installation surrounded by fallow fields into a highly dynamic centre of culture, style, and commerce. But a recent initiative from Megaworld Corporation is going to trigger the area's next evolution - this time, as one of the key administrative locations of the national government. 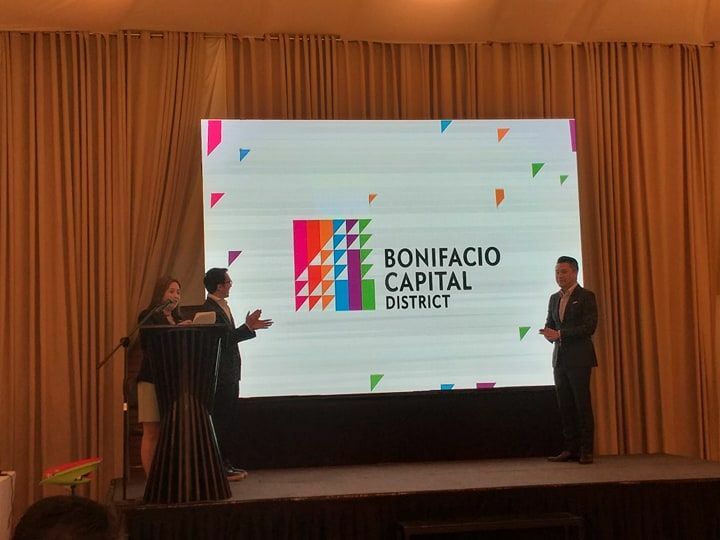 Megaworld has officially teamed up with the Bases Conversion Development Authority (BCDA) to create the Bonifacio Capital District (BCD), a new community in the southern part of Fort Bonifacio. A Memorandum of Agreement was signed by Kevin Tan, CEO of Megaworld's parent-corporation Allianz Global Group, and BCDA president and CEO Vince Dizon last 14 March 2019 at a media briefing held at the Blue Leaf Pavilion in McKinley Hill. This public/private partnership will create a policy review board that will have the exclusive jurisdiction to set policies and restrictions regarding the development of the BCD, and to ensure the proper execution of the master plan developed by global engineering and design firm Parsons Brinckerhoff. Covering an area of 160 hectares, BCD is expected to become the new address of choice for several government institutions, including the Senate of the Republic of the Philippines, Supreme Court, and the Court of Appeals. It was stated during the event that groundbreaking for the new Senate will be on Monday, 18 March 2019. "This marks the strong partnership of BCDA and Megaworld Corporation in building for progress," Dizon says of the agreement between the two entities. "As a key locator in Fort Bonifacio, Megaworld has had a positive impact on the lives of many Filipinos through its 'live-work-play' concept. We saw the realisation of this concept in McKinley Hill which [will be] integrated in the BCD." Citing how government institutions will soon be rising in the neighbourhood, Dizon added that these would be complemented with office spaces, residential developments, commercial establishments, and leisure facilities, all of which are essential to the shared vision of creating a vibrant and liveable community. BCD will cover two existing Megaworld townships, McKinley Hill and McKinley West. Several BCDA-owned properties will also be part of the new community, including the 33.1-hectare Bonifacio South Pointe and the 26-hectare Philippine Navy Village. While development of the BCD has formally begun, it is expected that the community will be completed within the next 10 years.